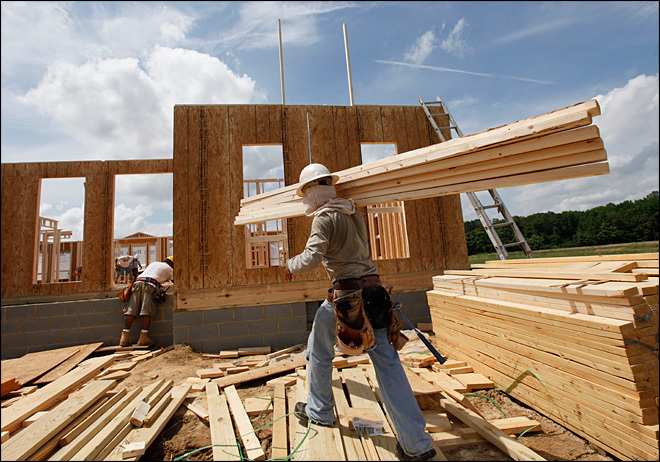 The value of residential building permits was stagnant in December after a 2.5 per cent decline in November. The total value was $4.4 billion with Alberta, British Columbia and Quebec leading seven provincial gains. Ontario posted the largest decline after a 16.9 per cent increase in November. Saskatchewan and Manitoba also registered declines. Over the whole of 2014 there was a 5.1 per cent increase in total value of residential permits compared to the previous year. The value of single-family dwellings increased in all provinces with a national rise of 8 per cent to $2.6 billion. For multi-family dwellings there was a 9.5 per cent decline to $1.8 billion, mainly the result of lower construction intentions in Ontario, followed by Saskatchewan and British Columbia. Gains were registered in five provinces, led by Alberta, followed by New Brunswick and Quebec. In terms of numbers nationally there were 16,023 approvals in December, down 5.6 per cent from November. Multi-family dwellings were down by 11.9 per cent to 9,550 while single-family dwellings rose 5.5 per cent to 6,473.